Gravel Bonding Resins, resin bonded aggregate, scattercoat resins. A few of the popular gravels used on paths driveways car-parks etc, Using one of our 5 specially formulated gravel bonding resins suitable for both the professional installers along with the enthusiastic DIYer. Probably the most popular PU system, specifically blended for driveways car parking areas, footpaths, leisure areas etc. Producing a very strong matrix when combined with dry gravels resulting in a porous hard wearing matrix. Does tend to darken slightly with uv suitable for use with most aggregates, avoid the white or very light silver gravels. G-Fix UV stable Specifically blended for use with very light or white aggregates, completely UV stable which remains clear. Ideal for driveways car parking areas, footpaths, leisure areas etc. 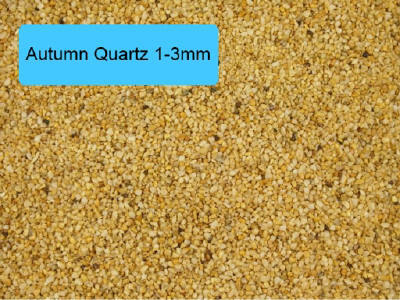 Suitable for the white and lighter shades of aggregates. A resin system designed for application over new or sound existing concrete of tarmac bases, spread evenly followed by coverage of dried aggregate which is allowed to cure prior to sweeping away the excess leaving a very pleasing anti-slip hardwearing surface. Very popular in high spec areas of shopping arcades park footways along with domestic areas. Our epoxy version of the gravel bonding system which lends itself more toward the domestic user, being available in smaller kit sizes for the keen DIYer, bonding dry aggregates to produce a strong porous matrix which can be applied to both concrete and tarmac surfaces. Also used to bond aggregate used in display areas of large shopping complexes etc.